Why would I need self storage in Stockton, CA? There are a variety of reasons why you might need self-storage in Stockton, CA. How much is a storage unit in Stockton, CA? The cheapest storage unit in Stockton, CA is $48.00 per month. What size storage units do you have available in Stockton, CA? In Stockton, CA we have sizes that range from 5'x5' to 10'x30' to suit your storage needs. How much is it for a 5'x5' storage unit in Stockton, CA? The cheapest 5'x5' storage unit in Stockton, CA is $48.00 per month. Stockton is one of California's largest cities, situated in the northern portion of the state on the San Joaquin River. It's a large inland port, providing access to San Francisco Bay via a large ship channel. Stockton has been growing at a fairly steady rate over the past several decades, and it's home to an extremely diverse population. Organizations including the Stockton Symphony Association, Stockton Opera, Ballet San Joaquin, the Stockton Lightning football team and the Stockton Ports baseball team represent the city in the arts and on the sporting field. A number of public arts projects dot the city, many of them honoring Stockton's rich mix of cultures and religions. With tens of thousands of trees and several large parks, Stockton has also been recognized several times for its commitment to nature. The Yatchicumne people were living in the area now called Stockton when European settlers arrived. Many of these native people moved to nearby missions; however, a number of their descendants still live in the area. Prospectors from around the world stopped in Stockton during the California Gold Rush of 1849. One of them was Captain Charles M. Weber, a German immigrant who quickly abandoned his dreams of striking it rich when he saw the economic potential of serving other gold-seekers. Thanks to his efforts, Stockton grew from a small settlement into a bustling commercial hub. He named the area Stockton after Commodore Robert F. Stockton, who played an important role in the Mexican-American War. The city was officially incorporated in 1850. Stockton has a long history of agriculture due to its temperate climate and fertile soil. Grapes account for a significant percentage of the local fruit and vegetable industry and its revenue. Stockton is also known for its crops of asparagus, tomatoes, cherries, walnuts and almonds. Stockton's location along the San Joaquin River and a deep-water channel to the ocean have also helped it develop into a bustling inland seaport for transporting Northern California's fresh produce and manufactured goods. The city's top employers are local government agencies, including San Joaquin County and the Stockton Unified School District. Stockton also boasts a variety of jobs in electronics, aerospace, education, food, automotive, distribution and building products firms. The Miracle Mile is home to many of the city's well-known attractions including Pixie Woods, a unique fairy tale-themed park with children's rides and play areas. You can also enjoy a large variety of dining and luxury shopping in this neighborhood. Located just north of the city center, Lincoln Village is a quiet waterfront retreat with a laid back coastal village vibe. Village West Marina borders a large natural basin and is home to two of the city's favorite local restaurants. Valley Oak, among the largest and most diverse communities in Stockton, has a large Asian-American population that has enhanced the local food, arts and culture. The nearby University of the Pacific is host to many community events, including film screenings and live musical performances. 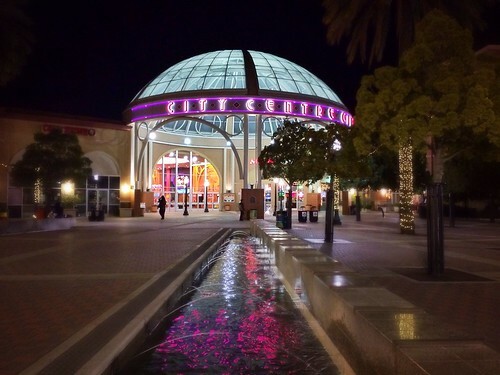 Stockton's Downtown district offers a variety of cultural centers, family-friendly entertainment, shopping and dining. Here, you'll find the popular Children's Museum of Stockton with its hands-on, play-based educational exhibits. A few different districts, including the Stockton Unified School District and the Lincoln Unified School District, serve Stockton public schools. There are also several public charter school systems in the city, as well as a variety of private schools in the city. If you're looking for post-secondary options, there are a handful of different options. The University of the Pacific is one of the largest post-secondary schools in Stockton, followed closely by National University. Utilities: The city manages public water and sewer services, and Pacific Gas & Electric is the city's power supplier. Garbage and Recycling: Trash and recyclables are collected curbside. You can also arrange for bulky item pick-up as needed. Transportation: Within city limits, the San Joaquin Rapid Transit Department provides a network of public bus lines. Home prices in Stockton have risen significantly in the past several years, and the city's real estate market is extremely active. Although the median home price is higher than the national average, it's considerably more affordable than in many other large cities in the area. Our lowest priced units in Stockton, CA average $52.67 per month. 248 people have reserved units in Stockton, CA in the past 30 days. There are 3 locations within Stockton, CA's city limits.